Imec has declared that it has successfully completed the testing of a chipset featuring custom superior-quality extreme ultra violet (EUV) sensor dies. The company is now integrating the chipset in ASML’s EUV lithography tools called the NXE:3100 in the field to improve their critical dimension and overlay tool performance. This accomplishment proves that Imec’s CMORE business line is now prepared to offer custom specialty chip solutions to its partners. 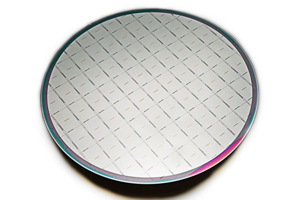 The sensors were developed to meet the standard specifications and designs of ASML, with focus on high sensitivity and lifetime to high and direct EUV irradiation dosages. Two of the sensors are specifically developed to align, calibrate, and focus lens systems of the lithography tool. They have been included in functional sensor modules and also incorporated in the NXE:3100 systems in the field. A third sensor is engineered to check the EUV dosage of the NXE:3300. Imec’s next task is to develop and test these sensors for the NXE:3300 EUV lithography tools by this year end. Imec’s CMORE initiative allows companies to realize their novel designs into compact packaged microsystems. The CMORE toolbox features a broad range of device technologies on 200 mm that include packaging, image sensors, MEMS, Si-photonics and CMOS, and testing, design and dependability. Further to these EUV sensors, the company’s CMORE initiative will design chip solutions for photolithography, high-end specialty imaging, power and energy management and bio-sensing.